Keep your casual look simple yet stylish as you wear this shirt from Purys. 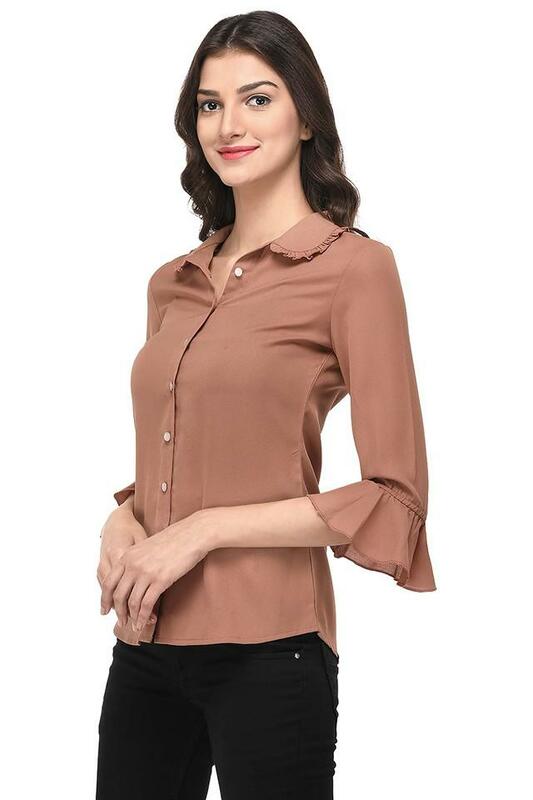 Made from polyester, this will be comfortable all day long. 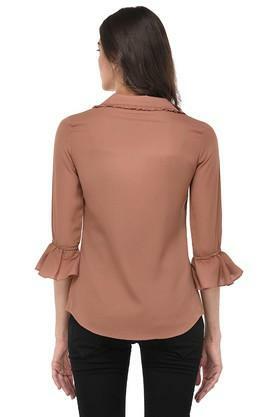 Featuring a ruffled collar, bell sleeves along with solid pattern, this shirt blessed with a trendy enticement. 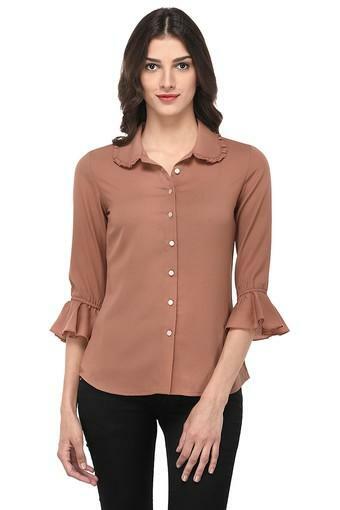 Stay updated with the fashion trend by wearing this shirt on any casual occasion. You can team it with a pair of jeans to look trendy.